Jazz drummer Jack Mouse began playing at the early age of four, and by his late teens was already performing with such musical greats as Tex Beneke, Ralph Flanagan, Buddy Morrow, Ray McKinley, Bob Crosby, Sammy Kaye, Ray Eberle, Les Elgart, Lee Castle, "Peanuts" Hucko and Red Norvo. Upon graduating from college, he spent three years as featured soloist with the “Falconaires,“ the official jazz ensemble of the U.S. Air Force Academy. He has since performed with such outstanding jazz artists as Stan Kenton, Clark Terry, Herb Ellis, Joe Williams, Carl Fontana, James Moody, Randy Brecker, Billy Taylor, Tim Stefan Karlsson, Steve Erquiaga, Frank Wess, Kai Winding, Kenny Burrell, Jon Faddis, Bob Mintzer, Marc Johnson, Gary Bartz, Bobby Watson, Steve Rodby, Dianne Reeves, Sheila Jordan, Karrin Allyson, Roseanna Vitro, Kitty Margolis, Peter Eldridge, Jay McShann, Joshua Breakstone, Fareed Haque, Rufus Reid, Jack Reilly Trio, Bunky Green Quartet, Dan Haerle Trio, Buddy Childers, Phil Wilson, Matteson/Phillips Tuba Jazz Consort, Chicago Jazz Quintet, Johnny Smith, Roger Pemberton Big Band, Bobby Shew, Chris Woods, Buster Cooper, Ashley Alexander, Frank Mantooth, John McLean, Scott Robinson and many others. 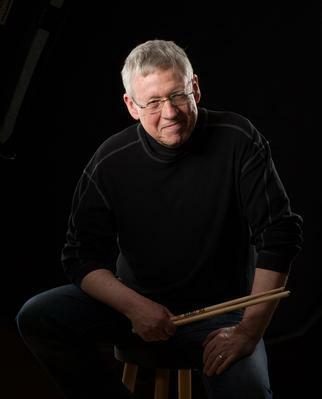 Currently Associate Professor of Music and Coordinator of Jazz Studies at North Central College, Jack has also served on the faculties of the American Conservatory of Music, Benedictine University, Saskatchewan School of the Arts, Clark Terry Great Plains Jazz Camp, National Stage Band Camps, Jamey Aebersold Combo-Improvisation Camps, Birch Creek Music Performance Center, International Peace Gardens, Melville Jazz Retreat. As a member of the Bunky Green Quartet, he was among the first musicians to introduce jazz education to the Montreux Jazz Festival, in Montreux, Switzerland. He has been a faculty artist member of the Janice Borla Vocal Jazz Camp since its founding in 1989. In 2012 Jack was the recipient of an Aquarian Award of Achievement, presented by Aquarian Drum Heads in acknowledgement of his contributions as a performer and jazz educator. In 2018 he was inducted into the Emporia High School Hall of Fame.